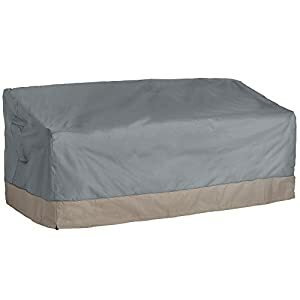 Best Outdoor Furniture Cover Review: Only Top On The Market in 2019! Anyone with a patio or a garden will most probably have some outdoor furniture. Outdoor furniture can be anything from a popular plastic chair to a whole set of upholstered chairs, tables, sofa’s, recliners, made of various materials such as wood, metal, and glass. You will also find appliances and accessories ranging from flat LCD TVs to Grills and even Ping Pong Tables. No matter what type of furniture you have, come the rainy or cold seasons, and you will need to cover them up. Some homes might put a lot of the equipment inside a shed or garage, but in most cases, they are left outside to fare the weather over months of rain, snow, and ice. It’s important to cover outdoor furniture; even the simple plastic chair will get damaged when left open under the elements outdoors. 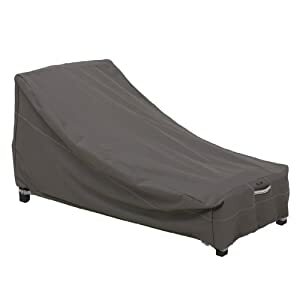 That is why outdoor furniture covers have evolved from simple sheets of cloth into rugged, specialized materials that can be tightened around any kind of furniture or appliance and accessory. 1. 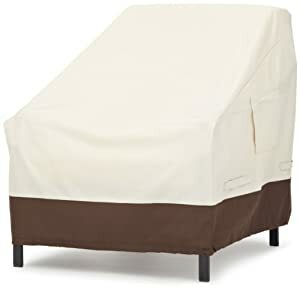 Duck Covers Ultimate Patio Chair Cover 36”. If you already know what to buy and want to view the best furniture covers for your outdoor requirements, then read on. 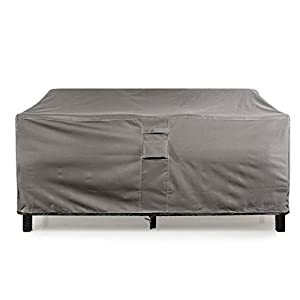 If you don’t know what you need, maybe it’s your first time, then before you go out and buy the first “sale” you find, check out the important tips we put at the end of this review for choosing which is the best furniture cover you need for your needs. Duck covers are aptly named since they provide absolute protection from rain, snow, and wind. These furniture covers are designed to slip over any chair that fits within the 36-inch range. The great feature of this cover is its material. Duck has managed to integrate seam sealer tape around all seams during the fabrication process,. The material is a strong polyester top with a multi-layer polyester weave side that allows the furniture to breathe. This is important to reduce the accumulation of moisture and humidity that comes in early mornings or during warm climate changes that sometimes occur during cold seasons. 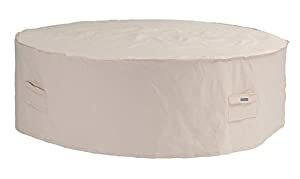 Duck Covers also protects against dust and the accumulation of dirt that can damage plastic furniture surfaces causing pitting and discoloration. This product is 100% Waterproof and is also UV resistant and has a combination of nylon straps, release buckles and shock cords for secure locking against the wind. Classic Accessories produces products that range from large furniture covers to single seat covers that can be used to cover anything from a single seat to a whole range of furniture sets. This product is made from a heavy-duty Gardelle™ fabric that integrates interior bound seams and high-density stitching for extra strength and durability. The material is a layered woven polyester fabric and includes vents for moisture and humidity release. This set comes with padded handles for easier covering and removal, as well as drawstrings for securing the cover against the wind. The Gardelle™ system also includes splash guard skirting and buckled straps. 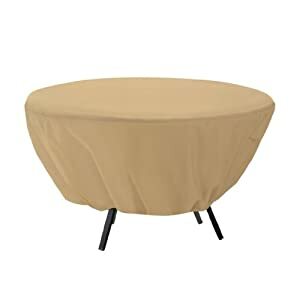 This model covers oval patio tables, and 6 standard chairs and the dimensions you can cover are 108″ L x 82″ W or a rectangular table with 6 chairs covering 102″ L x 76″ W.
This is another Classic Accessories product that provides the best protection for your outdoor furniture that your money can buy. 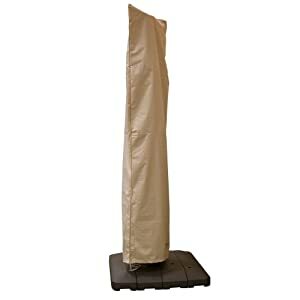 This is the 78″ L x 35.5″ W x 33″ H reclining chair cover, used to cover all kinds of recliners including Day Chaise Lounge pieces. This product is made from a heavy-duty Gardelle™ fabric that integrates interior bound seams and high-density stitching for extra strength and durability. The material is a layered woven polyester fabric and includes vents for moisture and humidity release. This set comes with padded handles for easier covering and removal, as well as drawstrings for securing the cover against the wind. The Gardelle™ system also includes an elastic hem and four buckled straps. Four (4) custom-colored buckles keep your cover secure in any weather . When it comes to precision covering for all weather conditions, you might consider the Protective Covers model that provides near perfect protection conditions with it’s 7 mm vinyl sheeting that is UV resistant, smooth and easy for covering and removal. 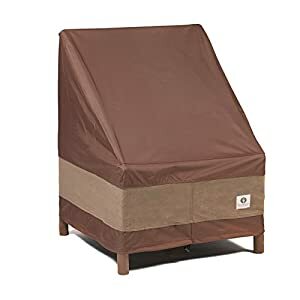 This particular model is used to cover a three seater and is especially good for wicker and wood since it includes ample venting to release any pent up humidity and moisture. It comes with a Velcro drawstring for securing against the wind. This unit’s dimensions are 87 L x 41 W x 41 H. and come with a three-year warranty. 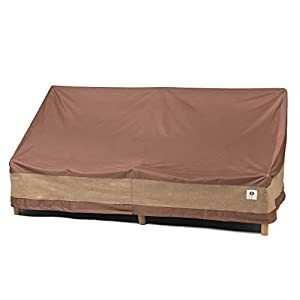 You can get other units similar to this for a variety of sizes ranging from 35” L to 87” L.
Patio Watcher products are all made of a durable woven polyester fabric with air vents integrated for protection against moisture and humidity. This product comes with a three-layered protective material, where the first inner layer is waterproof PE, the middle layer is 100% 300D polyester hydrophobic fabric, and the outer layer is water resistant fabric. All three combines to make a perfect waterproof, moisture and mildew proof cover that withstands wind with its click close leg straps. This product does not cover wheelbases, but it prevents ballooning with its mesh covered vents. This model’s dimensions are Full size: 70’’ Diameter x 23” H and are perfect for covering roundtables. When it comes to covers with style, then the Khomo Gear cover is what you seek. It does more than protect your furniture; it covers them with style. Let’s start with the black hem that outlines the all-weather and elements proof covering. The material does not crack in winter and is waterproof. It is a high density 500x300D woven polyester that provides great elasticity as well as UV protection. There are air vents to prevent the accumulation of moisture and humidity and toggle adjustable elastic hem chord together with strong nylon leg buckles. This product is an ultra-lightweight waterproof material that is easy to cover and remove from whole suites of furniture. Essort provides a 190T woven polyester and PVC coating that is UV resistant and waterproof. They integrate nylon roping for securing without friction, and the surface is easy to clean. Waterproof Material: Furniture Covers material is 190T woven polyester, which protects your Furniture from rain, snow and frost, dust and the sun. The dimensions of this model are 315 x 160 x 74 cm and its suitable to cover up to a seven-piece set of furniture. 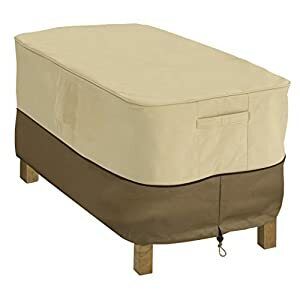 The Amazon basics furniture cover is made of a woven polyester fabric with reinforced stitching to prevent seam seepage. It protects against UV and all-weather conditions. This model comes with lock-on straps for securing against the wind. 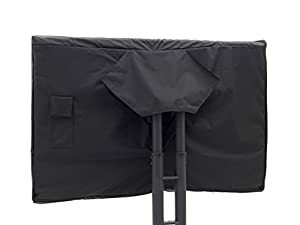 This is great Outdoor Accessories cover that uses their proprietary Tough Rain-Tite™ woven polyester fabric and their registered StayOn™ straps that secure the cover against hard winds. There are elastic loops for fitting over legs and air vents for reducing the accumulation of humidity and moisture. This product will not crack after one winter and comes with a one-year limited warranty. The dimensions of this model are 50” Diameter x 23” H.
The VonHaus line of patio furniture covers comes in a heavy-duty material designed to add its natural weight for protecting against windy and all-weather elements. The material is a proprietary layered woven polyester fabric with air vents to reduce the risk of humidity and the accumulation of moisture. The weight of the fabric together with its elastic hem drawstrings and leg fastening clips adds to protect your furniture during the windy rainy, snowy and dusty days. This models dimension are 78” L x 35” W x 24” Front H x 32” Back H. Due to its unique dimensions and design it can fit over some different furniture units. What can I say, I am back with another Duck cover, which as I mentioned are aptly named since they provide absolute protection from rain, snow, and wind. These furniture covers are designed to slip over any chair that fits within the 79-inch range. The great feature of this cover is its material. 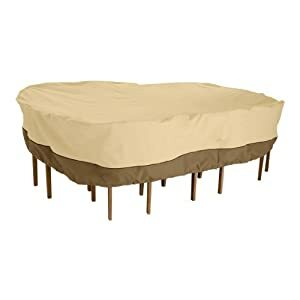 Some companies keep returning with great products, and this includes Outdoor Accessories, this time is their coffee table cover that uses their proprietary Tough Rain-Tite™ woven polyester fabric and their registered StayOn™ straps that secure the cover against hard winds. There are elastic loops for fitting over legs and air vents for reducing the accumulation of humidity and moisture. This product will not crack after one winter and comes with a one-year limited warranty. The dimensions of this model are 48” L x 25” W x 18” H.
We are back with another aptly named Duck cover, as I stated, they provide absolute protection from rain, snow, and wind. 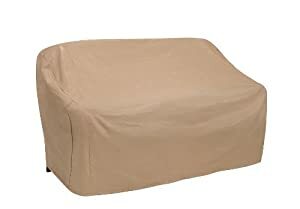 These furniture covers are designed to slip over any accessory including pit fires. 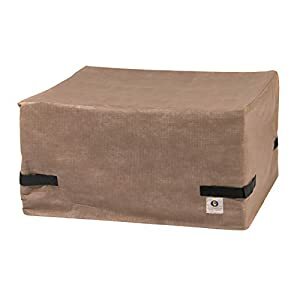 This unit’s sizes are 50” L x 50” W x 24” H and is secured with two Velcro straps. While you might think that an umbrella is enough protection from the elements, it does need protecting when closed for long periods. This is why the health & Garden umbrella cover is the best solution you will find to protect your umbrella from the elements during the winter seasons. This product is made of 380g, PVC coated plastic and is crack resistant. All you need to do is sheath it over the umbrella and forget it till Spring. While I would not recommend leaving a TV outside in any wet environment, there are people that cannot do otherwise since they live in wet and humid climates. This is what CoverMates have developed an amazing flat screen TV cover for those outdoor entertainment centers. This 300D polyester UV resistant cover comes with an inner fleece lining for extra protection. It slips over the TV and seals it perfectly from all weather conditions, even a monsoon downpour. This version comes with an accessory pouch, so you can keep the TV’s remotely close to it. 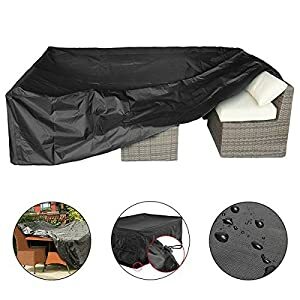 As promised, here is our outdoor furniture and accessory covers buying guide that will help you understand what you need to look for when choosing the best and correct cover for your needs. There are so many different dimensions to cover, and there are many cover sizes to choose from. It is imperative that you measure your furniture and buy the cover that fits it best. Did you know that most people don’t measure their outdoor furniture? Well that’s true, and even when they do decide to measure them, they don’t measure them in groups, but as single units. Here is bonus tip: clump your furniture together, such as tables and chairs, or stack chairs, and then measure. This will save you from buying too many covers, as well as save you a lot of time and space. We also suggest you check with your manufacturer; whether they have a special cover designed specifically for their furniture, you will be surprised to find that most outdoor furniture manufacturers take the time to produce furniture covers for special items. Double and triple check the wording. Waterproof means that water will not seep through the cover even when a tidal wave covers it, while water-resistant means that it will last for a while before allowing water through. The best materials are a combination of woven fabrics and PVC coatings. Some layered covers will have fabric on the outside for “beauty” but will have a full solid PVC lining to prevent water seepage. Another factor to consider is cracking; the best covers are layered, this prevents cracking in any one layer. Cracking is a sign of poor materials, usually succumbing to a combination of UV light and temperature changes. There are some methods to allow covers to “breathe,” breathing is important to reduce the chance of accumulating moisture from humidity. Humidity will occur even in the coldest climates; this is not a tropical phenomenon. The process is where water accumulates around the covered furniture; the covered furniture provides a “greenhouse” effect. The closed space will allow the water to evaporate inside the cover, and this produces humidity that accumulates into moisture that settles on the surfaces of the furniture. Ample vents will remove this humidity, reducing the accumulation of moisture and securing your furniture from mold and other water-related issues. Make sure that the inner cover lining is a soft material; some wooden surfaces can scratch from hard plastics. The same goes for appliances, make sure that the appliance cover comes with a soft lining, in some instances fleece. Apart from rain, the wind is a major consideration. You can get massive ballooning that lifts the cover off the furniture exposing it to the environment. If you don’t check your furniture regularly, you might end up finding it uncovered for days. A good tie down and a leg securing system is imperative to secure against ballooning, so too do air vents help against this phenomenon.